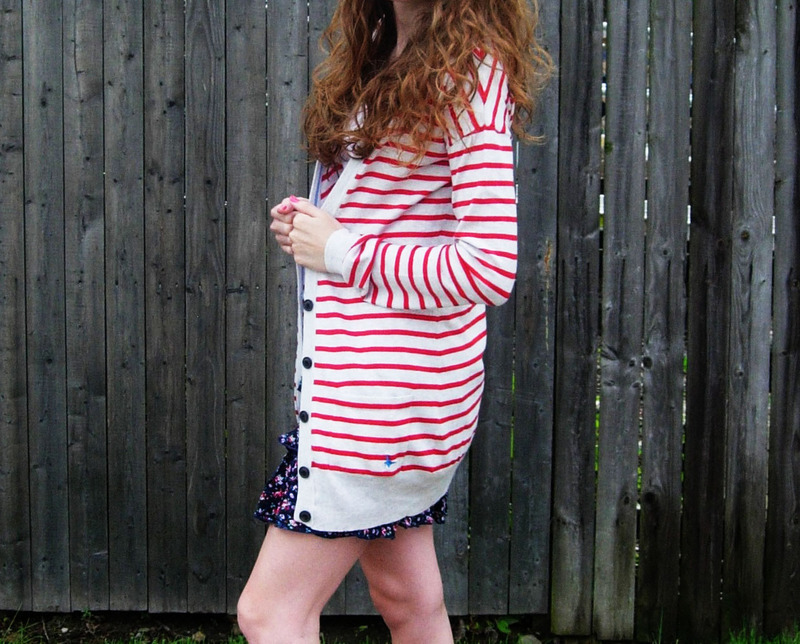 When I saw the fun stripes on the Heigham Cardie, I knew I wanted to try mixing patterns. Mixing of patterns was a big trend on runway shows such as Marc by Marc Jacobs for spring. 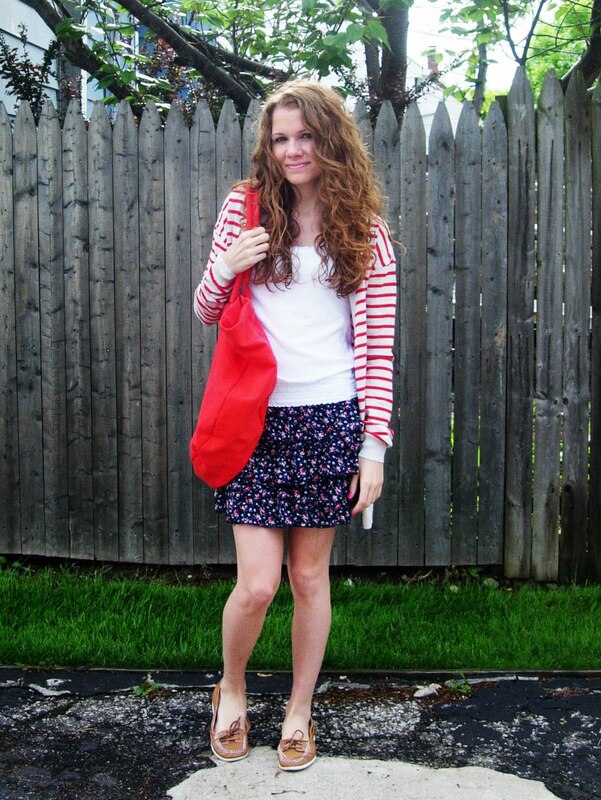 I love how the red stripes look with my floral print skirt. One of the reasons why the summer collection of Jack Wills caught my eye was because I knew I would be able to mix and match the different pieces in creative ways with pieces already in my wardrobe. Pictured above is also the Spindlestone Bag, a canvas bag with cute striped lining. What I especially love about this cardie is how long and soft it is. I love wrapping myself up in long sweaters, especially when it’s a soft cashmere blend like this one. Love this look! Comfy & Chic. oh I love that sweater and skirt. you are so cute in all your posts! wow looks amazing!! Love them! !